Great deal! And it's looking very nice. Your folding stock looks better than mine! Yeah i'm also very happy with it. It's an unaltered english MK4. Very cool blaster! How do you keep it as ANH with Hengstler or ESB with M-19? Are there moving parts on it? I can switch the scoperail if i want it. 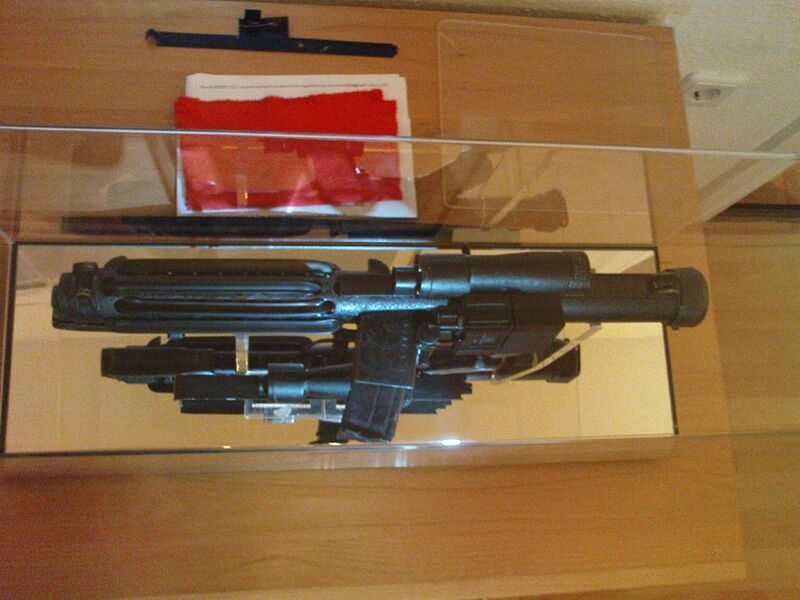 Here the finished blaster with the short magazin. Last edited by Turrican on Thu Dec 27, 2012 9:30 am, edited 1 time in total. Last edited by jkno on Mon Dec 17, 2012 5:56 pm, edited 1 time in total.